Thank you for choosing Absolute Investigations. Please take time to browse through our site to see how we can assist you with any or all of your investigative needs. 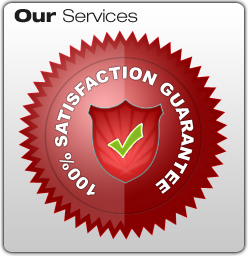 You will be happy in doing business with us, as we guarantee quality in all that we do. Absolute Investigations was founded on years of Private Investigations experience coupled with years of Military Police experience to bring you a quality investigative product. We are a full service Private Investigation Agency providing exceptional investigative services to the legal profession, corporations, insurance companies and private citizens. Depending on the type of assignment, many investigations can be initiated within 24 to 48 hours of receiving the initial referral. We are licensed by the state and insured and our investigations are carried out by experienced investigators. Texas Department of Public Safety Private Security Bureau License #: A13598. All of our services are available for the entire state of Texas. We are also business partners with other investigation companies around the U.S., therefore we can offer multi-state coverage, depending on your needs. Absolute Investigations uses the latest technology of digital surveillance equipment in order to obtain the highest quality video. If you wish to contact us via Email, please go to the New Assignments page and fill out the contact form.